Enjoy the best inspirational, motivational, positive, funny and famous quotes by Amos Tversky. Use words and picture quotations to push forward and inspire you keep going in life! 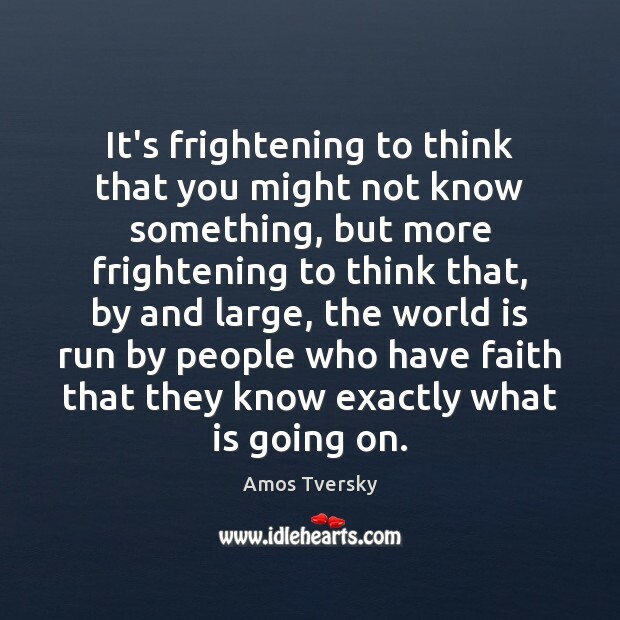 It's frightening to think that you might not know something, but more frightening to think that, by and large, the world is run by people who have faith that they know exactly what is going on. 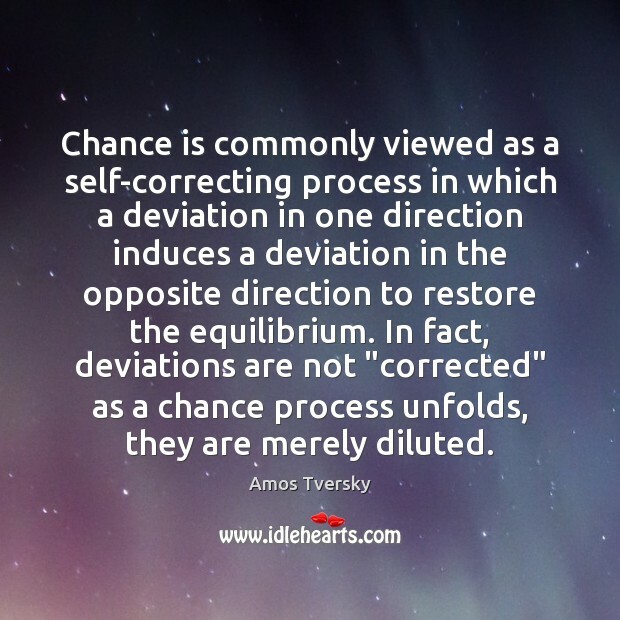 Chance is commonly viewed as a self-correcting process in which a deviation in one direction induces a deviation in the opposite direction to restore the equilibrium. In fact, deviations are not "corrected" as a chance process unfolds, they are merely diluted. My colleagues, they study artificial intelligence; me, I study natural stupidity. 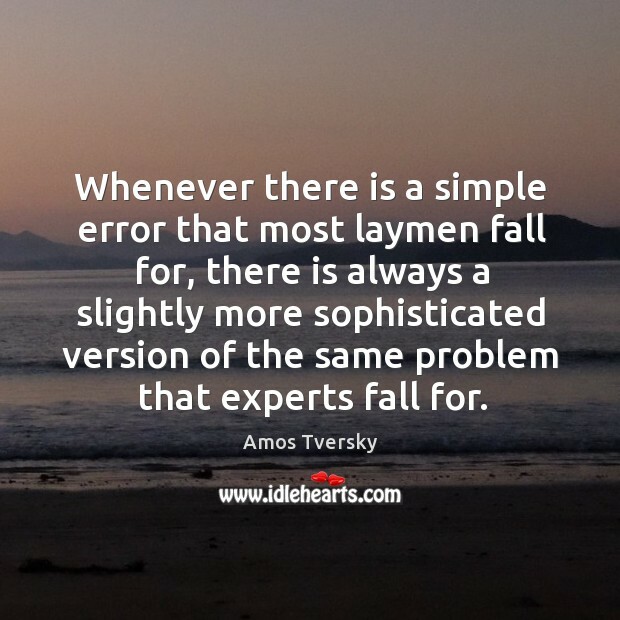 Whenever there is a simple error that most laymen fall for, there is always a slightly more sophisticated version of the same problem that experts fall for.